Place the flour and salt in a large mixing bowl, sift. Blend the warm water, honey, yeast. Cover and allow to proof for 5-7 minutes. Add one tablespoon of the olive oil to the proofed yeast, and then the whole mix into the flour. Mix with a spatula until it all comes together to form a very sticky dough. then cover with cling film and let the dough double. Punch down and stir the dough using a spatula. Then pour the whole into a greased loaf pan. Smooth down using the remaining olive oil. Allow to double - about an hour. Bake in a preheated oven at 350F for about 45 minutes. Remove from the oven, cool completely. 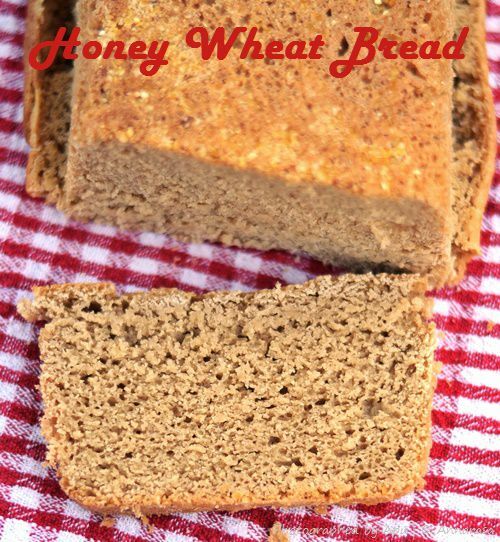 Vegan Substitute: Replace the honey in this recipe with agave nectar.